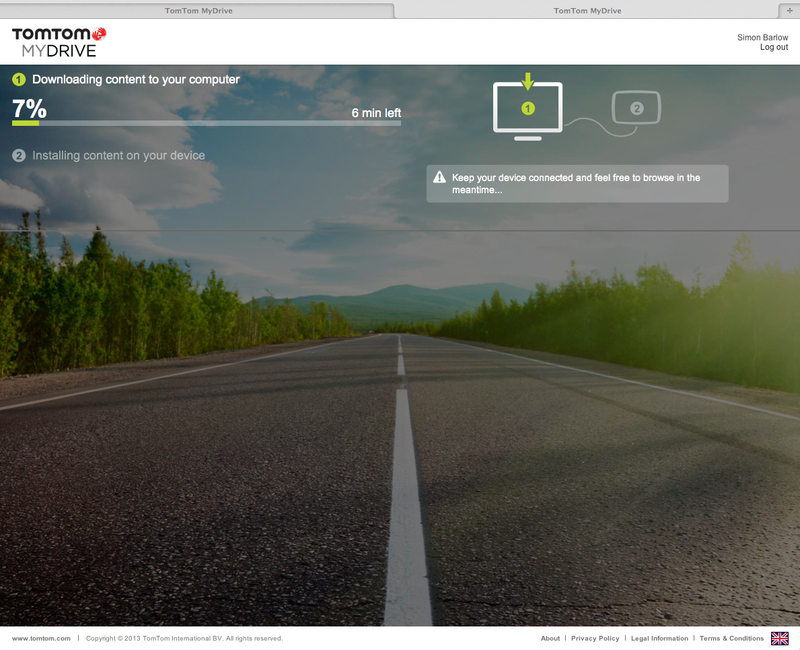 This is an update to my original Review of the TomTom GO LIVE Camper and Caravan Sat Nav page originally written in April 2013. Since my original review, TomTom has updated the desktop software and the user interface that allows you to update the Sat Nav. 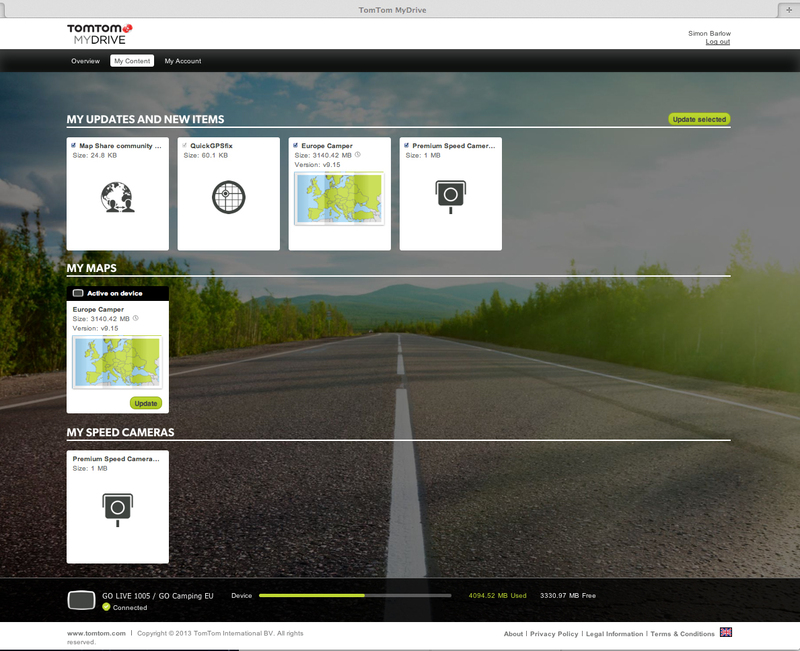 I have also confirmed with TomTom that the map “European Camper” edition currently IS NOT AVAILABLE AS A FREE LIFE-TIME UPDATE. When purchasing the TomTom Go Live Camper & Caravan GPS you do get a 90 day map guarantee that allows you to download the latest map edition for free within the first 90 days of activating your GPS. This now puts the total cost of ownership to around £100 per year if you have the Go Live 12 month subscription (£45) and the 12 month map update (Approx. £50 depending on offers) I made the assumption that the map updates would be priced around the same level as my old TomTom 760. The original App you download and install has not changed much as far as the user interface is concerned, there have been some changes ‘behind the scenes’ however. What has changed is the slightly clunky user interface the App launched in your browser. You are now presented with a cleaner log in screen (below). 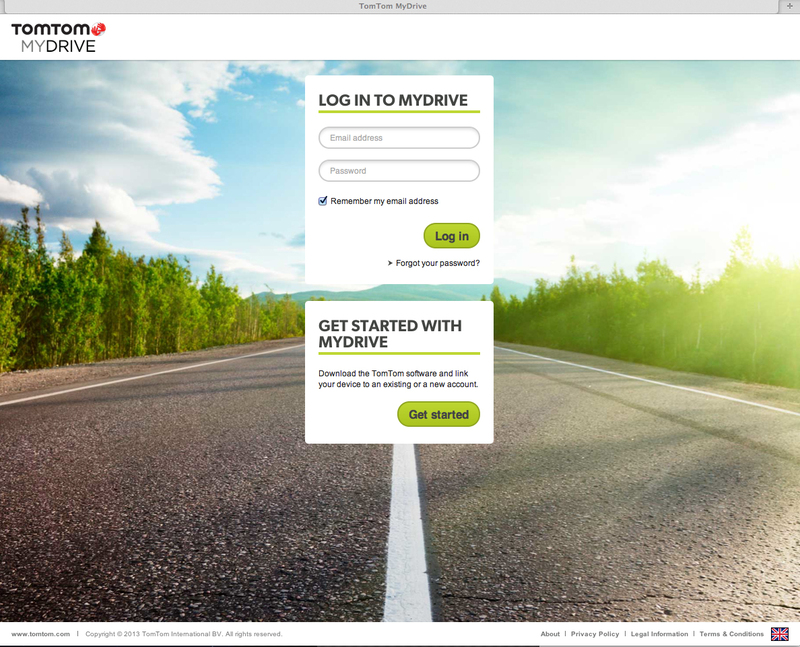 TomTom have now changed the name to ‘MYDRIVE’ I guess to keep up with other software companies doing similar ‘drive’ type things. Once you log in you get the screen (below) that shows you your subscriptions and updates available. Just click on “Update Selected” to get going….. The next screen shows the update progress… well first off all the ‘Downloading content to your computer’ progress. While this works a lot better in terms of keeping you informed over the previous version, don’t believe the time quoted. I ran this on a Mac Pro tower which is a fairly quick machine and I got anything between 20% and 40% longer than the quoted times. Even though a small statement invites you to “Keep your device connected and feel free to browse in the meantime” doing so severely slows down the download. Once you have completed all the downloads and upload to your device you should get this screen (below) telling you your device is up to date. However to get some screenshots I went back to the log in page and logged in again and behold I had another update…. and just out of curiosity after this update had been downloaded to my computer and uploaded to the device I logged out and back in again and there was yet another update waiting! So if you think you selected all updates and it tells you have finished, just double-check. With the yearly cost approaching the £100 mark, the TomTom is not cheap to own. Other manufacturers such as Snooper and Garmin offer similar products that do have free lifetime map updates. It now comes down to a simple choice:- do you go for the TomTom with the high ‘running’ costs but probably the best technically or do you go for one of the others that once bought there are no additional costs but do have some limitations? 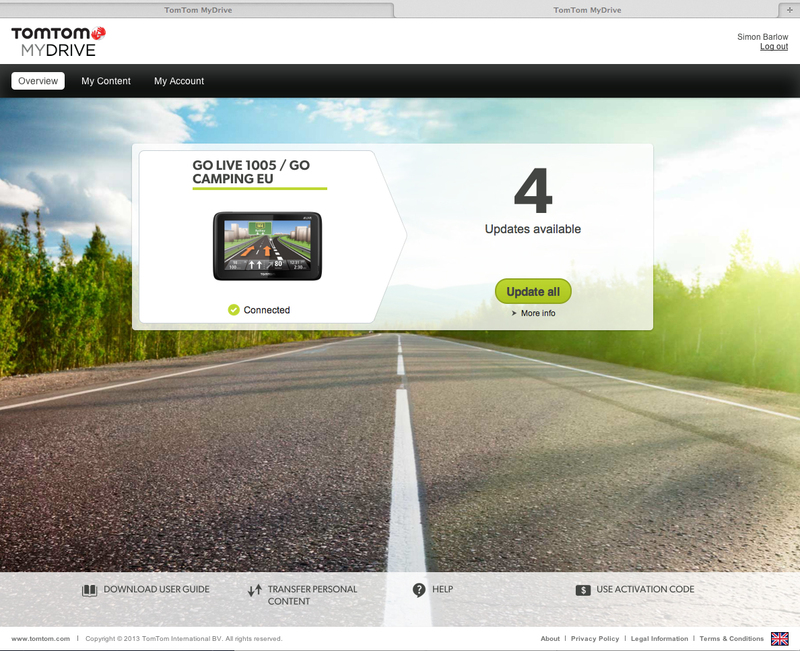 In my original Review of the TomTom GO LIVE Camper and Caravan Sat Nav at the end I said…..
At a list price of £329.99 at the time of writing, it’s not the cheapest of Sat Nav’s out there, but the question is “If I lost it would I buy another one?” Well the answer to that is ‘YES’ unless someone else brings out something to beat it, but for the moment there is nothing currently on the market for me that ticks all my boxes. Ok, I’m going to update that. If I lost it would I buy another one? No, I don’t think it represents value for money and I’d put up with the limitations of the Snooper. Consideration has also got to be given to the number of alternative Sat Nav’s available via the internet. Some of these are priced around £100 which if you think about it means you could buy a brand new device with all the current updates every year for the same money you pay TomTom for updates. 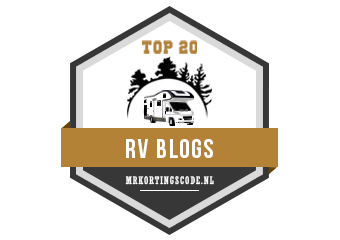 Although these devices can be programmed with the Motorhome or Caravan size they don’t have the database of camping sites built-in. However with both the big clubs now having POI files of all the camping sites available to download from their websites this is not a major problem. Available now at Halfords fro £305 with free Lifetime update maps. Bought one today and at the moment updating maps which seems to take forever. I can’t find it listed on the Halfords web site. Interesting about the free lifetime update though as the map used for the Camper & Caravan Edition is different from the standard European maps (it has additional data) and TomTom told me as it was used for commercial units (trucks) it would never be offered on a free lifetime update product. BTW Thanks for a great review. Not only that, but Halfords currently giving a further 10% off, bringing the price down to £275ish with lifetime maps. Be very interested to see if the lifetime maps are now truly lifetime maps for the camper side of this unit. You can update some older TomToms with the Camper map, but it appears to be a (£89) year by year payment. Only devices with 4Gb / SD slot need apply….